Real interior silence, not just the absence of noise, is a foundational spiritual discipline. So why are we so resistant to enter into it, asks Richard Rohr OFM. When I first began to write this article, I thought to myself, “How do you promote something as vaporous as silence? It will be like a poem about air!” But finally I began to trust my limited experience, which is all that any of us have anyway. I do know that my best writings and teachings have not come from thinking but, as Malcolm Gladwell writes in Blink, much more from not thinking. Only then does an idea clarify and deepen for me. Yes, I need to think and study beforehand, and afterward try to formulate my thoughts. But my best teachings by far have come in and through moments of interior silence – and in the “non-thinking” of actively giving a sermon or presentation. Aldous Huxley described it perfectly for me in a lecture he gave in 1955 titled “Who Are We?” There he said, “I think we have to prepare the mind in one way or another to accept the great uprush or downrush, whichever you like to call it, of the greater non-self”. That precise language might be off-putting to some, but it is a quite accurate way to describe the very common experience of inspiration and guidance. All grace comes precisely from nowhere – from silence and emptiness, if you prefer – which is what makes it grace. It is both not-you and much greater than you at the same time, which is probably why believers chose both inner fountains (John 7:38) and descending doves (Matthew 3:16) as metaphors for this universal and grounding experience of spiritual encounter. Sometimes it is an uprush and sometimes it is a downrush, but it is always from a silence that is larger than you, surrounds you, and finally names the deeper truth of the full moment that is you. I call it contemplation, as did much of the older tradition. It is always an act of faith to trust silence, because it is the strangest combination of you and not-you of all. It is deep, quiet conviction, which you are not able to prove to anyone else – and you have no need to prove it, because the knowing is so simple and clear. Silence is both humble in itself and humbling to the recipient. Silence is often a momentary revelation of your deepest self, your true self, and yet a self that you do not yet know. Spiritual knowing is from a God beyond you and a God that you do not yet fully know. The question is always the same: “How do you let them both operate as one – and trust them as yourself?” Such brazenness is precisely the meaning of faith, and why faith is still somewhat rare, compared to religion. And yes, such inner revelations are always beyond words. You try to sputter out something, but it will never be as good as the silence itself is. We just need the words for confirmation to ourselves and communication with others. So God graciously allows us words, and gives us words, but they are almost always a regression from the more spacious and forgiving silence. Words are a much smaller container. They are always an approximation. Surely some approximations are better than others, which is why we all like good novelists, poets, and orators. Yet silence is the only thing deep enough, spacious enough, and wide enough to hold all of the contradictions that words cannot contain or reconcile. We need to “grab for words”, as we say, but invariably they tangle us up in more words to explain, clarify, and justify what we meant by the first words – and to protect us from our opponents. From there we often exacerbate many of our own problems by babbling on even further. In Matthew 6:7, Jesus had a word for heaping up empty phrases: paganism! Only those who love us will stay with us at that point, and often love will also tell us to stop talking – which is precisely why so many saints and mystics said that love precedes and prepares the way for all true knowing. Maybe silence is even another word for love? Most of the time, “to make a name for ourselves” like the people building the tower of Babel, we multiply words and find ourselves saying more and more about less and less. This is sometimes called gossip, or just chatter. No wonder Yahweh “scattered them”, for they were only confusing themselves (Genesis 11:4-8). Really they were already scattered people: scattered inside and out because there was no silence. We are all forced to overhear cell phone calls in cafés, airports, and other public places today. People now seem to fill up their available time, reacting to their boredom – and their fear of silence – often by talking about nothing, or making nervous attempts at mutual flattery and reassurance. One wonders if the people on the other end of the line really need your too-easy comforts. Maybe they do, and maybe we all have come to expect it. But that is all we can settle for when there is no greater non-self, no gracious silence to hold all of our pain and our self-doubt. Cheap communication is often a substitute for actual communion. Words are necessarily dualistic. That is their function. They distinguish this from that, and that’s good. But silence has the wonderful ability to not need to distinguish this from that! It can hold them together in a quiet, tantric embrace. Silence, especially loving silence, is always non-dual, and that is much of its secret power. It stays with mystery, holds tensions, absorbs contradictions, and smiles at paradoxes – leaving them unresolved, and happily so. Any good poet knows this, as do many masters of musical chords. Politicians, engineers, and most Western clergy have a much harder time. Silence is what surrounds everything, if you look long enough. It is the space between letters, words, and paragraphs that makes them decipherable and meaningful. When you can train yourself to reverence the silence around things, you first begin to see things in themselves and for themselves. This “divine” silence is before, after, and between all events for those who see respectfully (to re-spect is “to see again”). All creation is creatio ex nihilo – from “a trackless waste and an empty void” it all came (Genesis 1:2). But over this darkness God’s spirit hovered and “there was light” – and everything else too. So there must be something pregnant, waiting, and wonderful in such voids and darkness. God’s ongoing – and maybe only – job description seems to be to “create out of nothing”. We call it grace. God follows this pattern, as do many saints, but most of us don’t. We prefer light (read: answers, certitude, moral perfection, and conclusions) but forget that it first came from a formless darkness. This denial of silence and darkness as good teachers emerged ever more strongly after the ironically named “Enlightenment” of the seventeenth and eighteenth centuries. Our new appreciation of a kind of reason was surely good and necessary on many levels, but it also made us impatient and forgetful of the much older tradition of not knowing, unsaying, darkness, and silence. We decided that words alone would give us truth, not realising that all words are metaphors and approximations. The desert Jesus, Pseudo-Dionysius, The Cloud of Unknowing, and John of the Cross have not been ‘in’ for several centuries now, and we are much the worse for it. The low point has now become religious fundamentalism, which ironically knows so little about the real fundamentals. We all fell in love with words, even those of us who said we believed that “the Word became flesh”. Words offer a certain light, but flesh is much better known in humble silence and waiting. As a general spiritual rule, you can trust this one: The ego gets what it wants with words. The soul finds what it needs in silence. The ego prefers light – immediate answers, full clarity, absolute certitude, moral perfection, and undeniable conclusion – whereas the soul prefers the subtle world of darkness and light. And by that, of course, I mean a real interior silence, not just the absence of noise. Robert Sardello, in his magnificent, demanding book Silence: The Mystery of Wholeness, writes that “Silence knows how to hide. It gives a little and sees what we do with it”. Only then will or can it give more. Rushed, manipulative, or opportunistic people thus find inner silence impossible, even a torture. They never get to the “more”. Wise Sardello goes on to say, “But in Silence everything displays its depth, and we find that we are a part of the depth of everything around us”. Yes, this is true. When our interior silence can actually feel and value the silence that surrounds everything else, we have entered the house of wisdom. This is the very heart of prayer. When the two silences connect and bow to one another, we have a third dimension of knowing, which many have called spiritual intelligence or even “the mind of Christ” (1 Corinthians 2:10-16). No wonder that silence is probably the foundational spiritual discipline in all the world’s religions at the more mature levels. At the less mature levels, religion is mostly noise, entertainment, and words. Catholics and Orthodox Christians prefer theatre and wordy symbols; Protestants prefer music and endless sermons. Probably more than ever, because of iPads, cell phones, billboards, TVs, and iPods, we are a toxically overstimulated people. Only time will tell the deep effects of this on emotional maturity, relationship, communication, conversation, and religion itself. Silence now seems like a luxury, but it is not so much a luxury as it is a choice and decision at the heart of every spiritual discipline and growth. Without it, most liturgies, Bible studies, devotions, ‘holy’ practices, sermons, and religious conversations might be good and fine, but they will never be truly great or life-changing – for ourselves or for others. They can only represent the surface; God is always found at the depths, even the depths of our sin and brokenness. And in the depths, it is silent. It comes down to this: God is, and will always be, Mystery. Only a non-arguing presence, only a non-assertive self, can possibly have the humility and honesty to receive such mysterious silence. When you can remain at peace inside of your own mysterious silence, you are only beginning to receive the immense “Love that moves the sun and the other stars”, as Dante so beautifully says – along with the immeasurable silent space between those trillions of stars, through which this Mystery is also choosing to communicate. Silence is space, and space beyond time. Those who learn to live there are spacious and timeless people. They make and leave room for all the rest of us. This article was first published in the March 2013 edition of Sojourners. Reprinted with permission from Sojourners, (800) 714-7474, www.sojo.net This article is not to be re-published without permission from Sojourners. 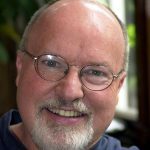 Richard Rohr OFM, a "Sojourners" contributing editor, is founder of the Centre for Action and Contemplation in Albuquerque, New Mexico.